iPhone 4s Reaches Malaysian Shores! Fancy an iPhone 4S? Especially since Christmas is just around the corner? Good news is that the device is finally coming to Malaysian shores, after erm...one a half months (as usual in Malaysia). 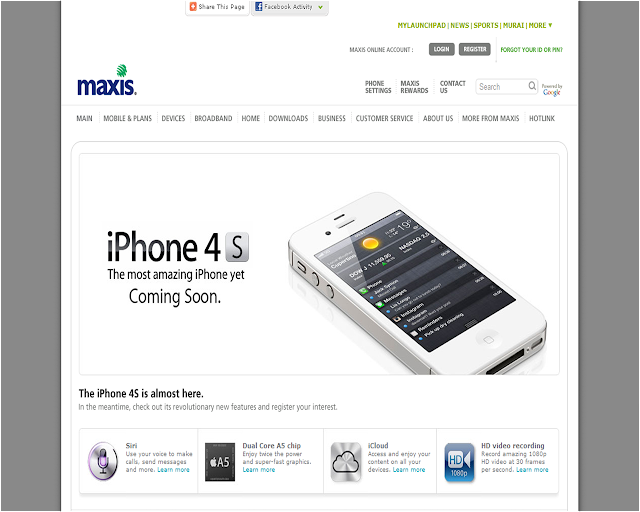 Maxis has announced that, being the first service provider to do so, they will be launching the iPhone 4s here on the 16 of December. Mean while, you can register your interest here (note that this is not pre-ordering) although prices are only expected to be revealed on the launch date.